Raise your hand if you’re against police brutality. Remember, police brutality is excessive force, it is police harming, and often killing, unarmed people. If you didn’t raise your hand, it could be because speaking out against police brutality, which, yes, requires a critique of the police, often leaves one branded as anti-police. 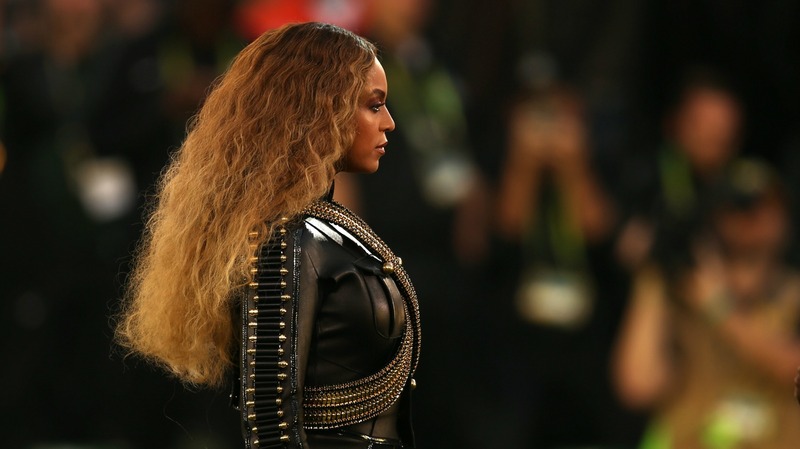 After having such a brand (and a boycott to boot) for a video of her newest single, Formation, Beyoncé clarified the distinction between anti-police and anti-police brutality this week. While the song does not actually say anything even tangentially related to the police, the music video has a few police-related scenes. The video opens with Bey on top of a police car, in what is supposed to be a flooded New Orleans after Hurricane Katrina. The video closes with Beyoncé and the cop car both sinking, vanishing into the depths of the flood. It shows police in riot gear, standing in a horizontal line, while a young black child dances in front of them. Toward the end of the video, the little boy stops dancing and raises his hands over his head, and the police mimic him, raising their hands as well. Additionally, the video briefly shows “Stop shooting us” written in black spray paint on a concrete wall. How anyone could see this and immediately think “Beyoncé is anti-police” (and a great many people did) is still puzzling to me. Fortunately, Beyoncé did not back down from the chance to elucidate her motives. And indeed she is correct. The marches, the protests, the think pieces, the anger — in a word, the activism that has erupted in the last few years has been in response to police misconduct and the inaction to curb it. We do not want our rights violated, and when they are, we want justice. And then there is the fact that some populations of people are more likely to feel the effects of this than others. Why can’t people critique police misconduct? Police swear to serve and protect all of us, and the killing of unarmed people over and over and over, to the tune of 1,145 total deaths in 2015 alone, deserves the ire of the American people, be they police officers or civilians. To me, the distinction is simple: On one hand, you have people who reject the brutality that happens far too often by those trained and who have sworn to protect us and keep us safe. I believe that both the apathy in response to our stand against police brutality, as well as the brutality itself, can (understandably) breed fear, anger and a host of other negative emotions. I won’t say that there aren’t some people who seek out police to harm them, because of course there are, but this number of people who are actually anti-police is far lower than most people are led to believe, especially given that violence against police is at a decades-long low. I was living in New York City when the unrest in Ferguson, Missouri, began to unfold. I marched in the rain and the cold, with signs and without, all to bring about awareness for those whose lives were unnecessarily lost. For the most part, the police who showed up to the protests were there to protect us: to make sure spectators didn’t harm us, cars didn’t run us over, etc. But after the unrest in Baltimore, they were different: clearly scared and treated those of us exercising our First Amendment right to assemble differently. They made arrests for no reason (one of those arrested was my graduate professor. I was terrified when I couldn’t find her) and had loudspeakers telling us to disperse. They wore riot gear. My friends and peers linked hands with my husband and me; we all linked hands with strangers. We felt like we were holding on to each other for dear life. In all honestly, that march, though the protestors once again remained peaceful, was an absolutely terrifying experience. I envision and am actively fighting for an America where protests aren’t necessary for civil rights and livelihood. Where police aren’t scared and can even disarm assailants without a weapon. I dream of an America where unarmed people aren’t murdered and are not blamed for their own murder. By using powerful images related to recent police killings in her video (the little boy is a young child like Tamir Rice, who was killed by Timothy Loehmann in Cleveland, and raises his hands like witnesses say 18-year-old Michael Brown did before being shot by Darren Wilson in Ferguson), Beyoncé is invoking the narrative of police brutality in her art. Perhaps it is a catharsis, the way in which Bey feels about these incidents expressed through her art, to help her cope with and understand them, or perhaps to help clarify the array of feelings felt by those touched by these incidents — for those who are not. As someone who often writes for those very same reasons, that’s how I feel while watching her video. In between watching her slay, I feel my heart ache and stomach drop when there’s a little black child in front of police, because in America, that has meant death. In truth, many people do not realize that their feelings about minorities are subconscious and often cannot be controlled. But when people start to do the work of dismantling their own implicit racism and sexism and everything else, they can start to appreciate tragic art, and the tragic realities in our society. I hope that happens for everyone. And soon. Let’s get in formation.